Our Brief on this project was to provide a temporary roof scaffold which would cover the quadrangle roof over the main exhibit hall. Many years ago a roof was constructed over the what was then open courtyard to provide a covered space forming the main exhibit hall for the Museum. This took the form of a glass dome across the center with a mono-pitch roof either side. Unfortunately its was found that the glass dome was to let in too much light causing deterioration of the exhibits below. This is now to be removed and replaced with a new section of mono-pitch roof whilst at the same time renewal of the original sheeting will take place. 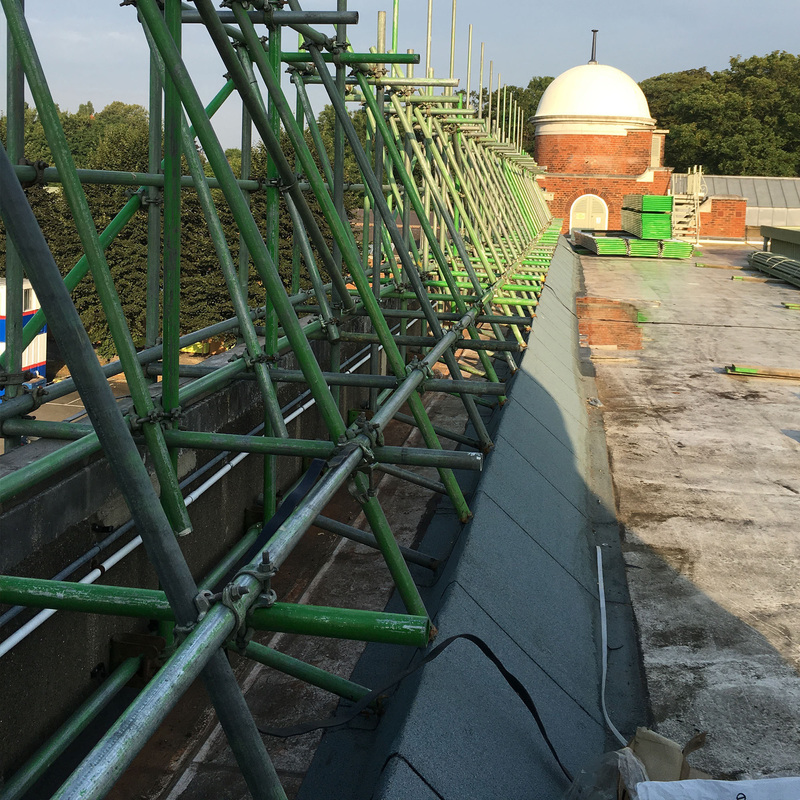 The Challenge was to provide a temporary roof which would cover both the dome roof and the two mono-pitches with no support going to ground whilst enabling new roof trusses to be craned in to form the replacement roof for the dome. Which doesn’t seem to bad until you realise the area to be covered is enormous. 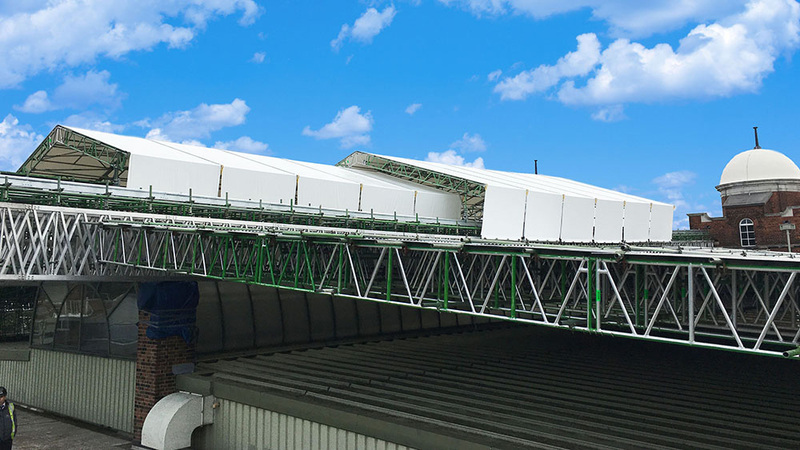 The solution was to provide a rolling temporary roof over the central dome section that could be rolled back when the new trusses were to be craned in and re sealed quickly after to prevent water ingress. Whilst the lower roofs either side would be covered by 24m span mono-pitch roofs. 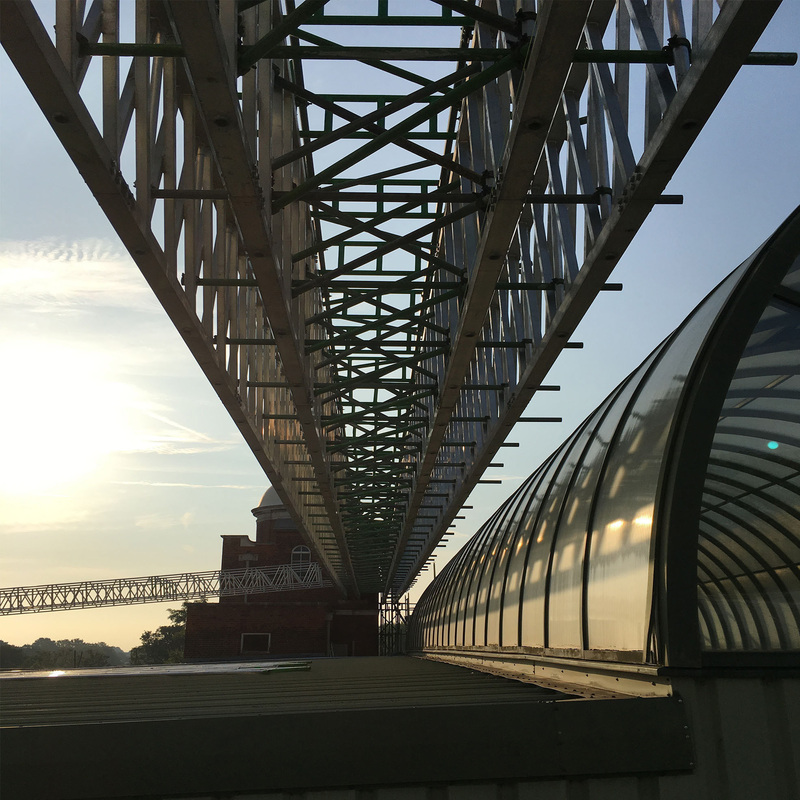 All of this was to be supported on two 42m span spine beam spanning between the main walls of the building. 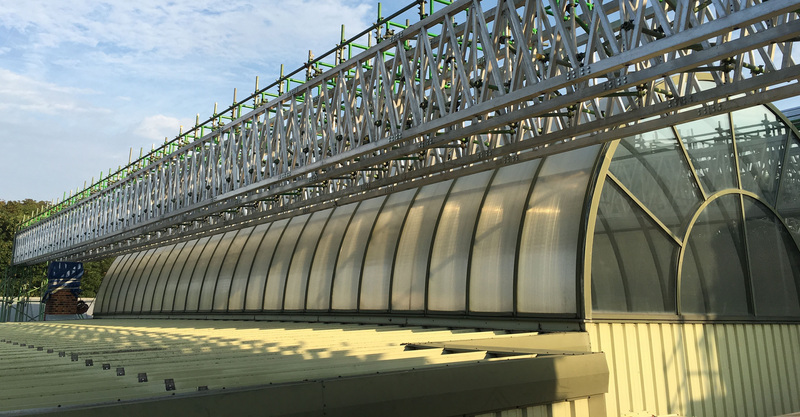 The main support and span was achieved using the Double X beam 1500mm deep trusses.